Share our little piece of heaven! Whistler is a beautiful place!We searched every corner to find the most perfect location. 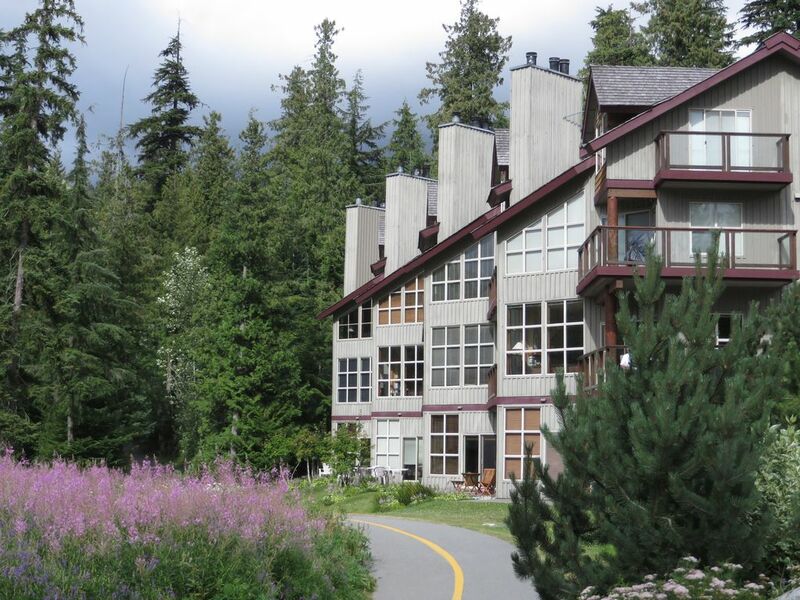 This unique complex boasts the highest 'Green Space' ratio in all of Whistler which basically means there's a lot of land and very well appointed buildings. When you look out any of our windows, you'll see the outdoor area you came to enjoy - not the next door wall. We are two families who own this home and have fallen in love with it. Our kids can walk or bike safely to the village or the lakes and can get to the lifts easily by themselves on the shuttle. We have a corner unit so on the north side we have only woods and to the west, out the patio doors, we have the Valley Trail, the Chateau Whistler Golf Course ( or Cross Country Trail in the winter) and the mountains beyond. Watch the sun go down from the patio in the summer or the moon rise from the hot tub at night after a day of activity. This is a perfect place for families or anyone looking for a little luxury and a lot of peace and quiet. Sitting in our living room it's easy to believe you're in a beautiful cabin in the woods but 5 minutes away you're in the hub of the most exciting ski resort on the continent. Very quiet condo. Had everything we needed. A bit of a hike in to the village so be prepared for a walk.